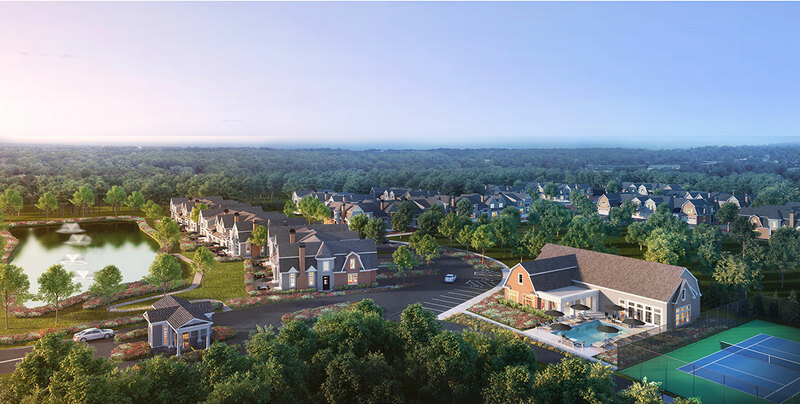 Going east into the Long Island town of Mineola, a large 312-unit residential and mixed-use project developed by Sabre Real Estate has its first renderings. The building is called One Third Ave, and has 1,600 square feet of available retail space left at the southwest intersection of 3rd Avenue and 3rd Street. 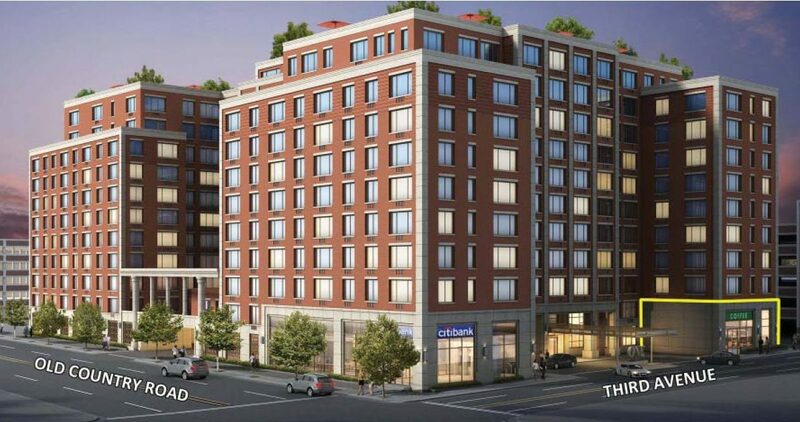 The property sits one block away from the Mineola Train Station, making it less than forty minutes away from Midtown. Steven B. Jacobs is the designer of the building, with units coming in one- to three-bedroom spreads with private terraces for penthouses. 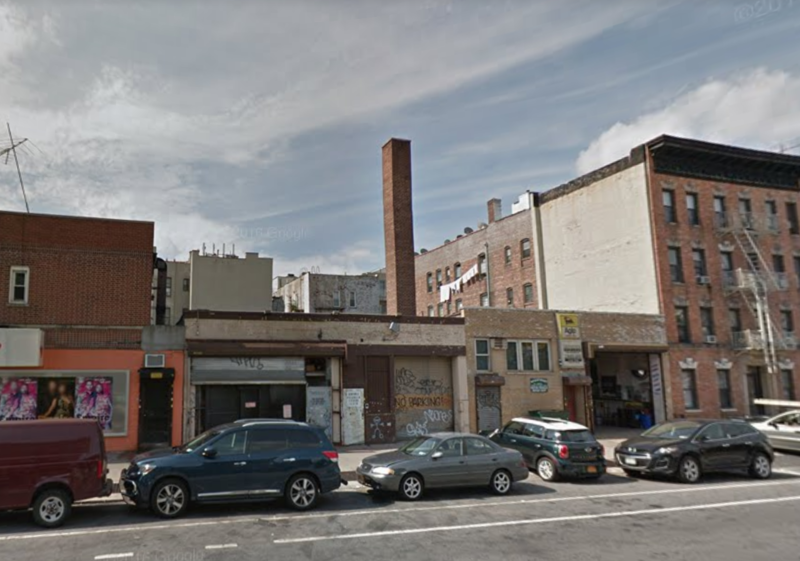 Another warehouse in Long Island City is about to meet the wrecking ball to make way for a new development, this time, at 11-52 44th Drive. There, Daniel Gazal of 11-52 44th Drive, Inc., has filed applications for an eight-story and 19,014 square-foot building. Within, there will be 1,773 square feet of retail on the first floor, and 14,115 square feet of residential up above, divided amongst 22 units. At an average size of about 630 square feet, rentals seem likely. Frank Demmerle, of Demmerle Design Studio, is the architect of record, and demolition permits for the existing structure have not yet been filed. 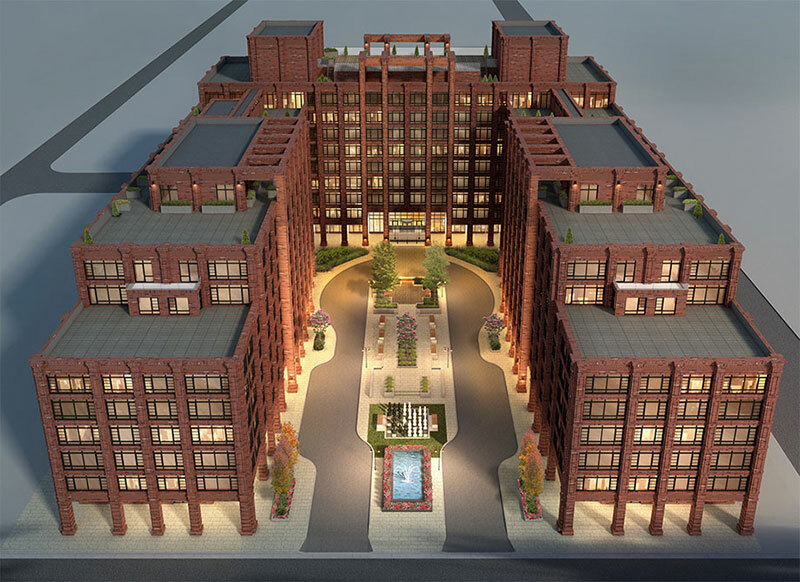 A preliminary rendering has been revealed of the proposed six-story, 156-key Courtyard by Marriott hotel at 43 Broadway, located on the corner of Broadway and Langdon Place in downtown Lynbrook. That’s in Nassau County along the South Shore of Long Island. It was reported a year ago that Browning Hotel Properties signed a tentative ground-lease with the village for the project, although the actual building has not yet been approved. The village board is expected to make a final decision this fall, once all studies have been reviewed and public hearings have been held, LI Herald reported. The hotel would include a built-in 306-car parking garage, where 96 spaces would be used by the hotel and the remaining for municipal and commuter purposes. The village’s Long Island Rail Road station is located two blocks away.